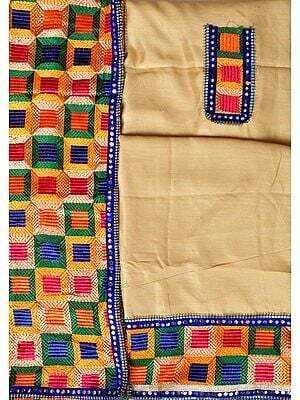 Of all the Indian handicrafts, textiles form a class by themselves over which the rest of the world went into ecstasies from time immemorial. 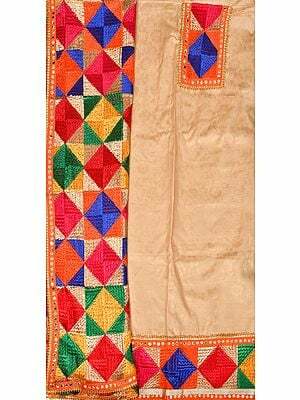 With an enormous store of myths, symbols, imagery and inspiration from other art forms Indian textile-craft never faced a slump or stagnation. On the other hand it transcended from a craft identity to the status of an art. 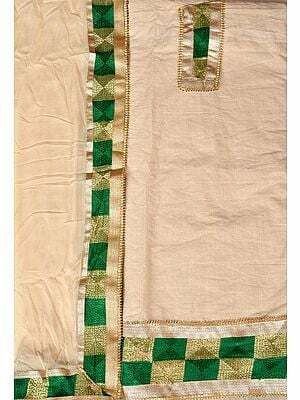 With shades of classicism, folk tradition and regional flavour the rich and unrivalled fabrics of India have rightly been called exquisite poetry in colour. 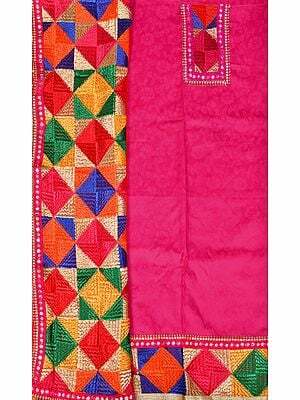 Indian fabric art can be classified into three broad categories-woven, painted or printed and embroidered. Within this broad outline the present study pinpoints the historical background of some representative forms each unique in its distinctiveness. A search for any linkage with allied art forms as well as their socio-cultural significance also provides a new perspective. Though apparently widely dispersed in contents, they form a composite tapestry of Indian fabric art tradition and call for more scrutiny before our precious heirlooms are totally submerged in the tide of the synthetic era. The book is enriched by illustrations of rare specimens of historical art fabrics collected from different museums in the country. Coupled with extensive references this Volume spotlights a new facet of Indian art heritage which will fascinate both the social scientists as well as the connoisseurs of Indian art and culture. Dr. Sukla Das took to research as a UGC Research Fellow after she secured her M.A in History with the first position in the First Class. She also topped the list in the entire Faculty of Arts of the Jadavpur University, Calcutta and obtained three gold medals. At present she is teaching in the Jadavpur University, Calcutta. Her doctoral and post-doctoral research works socio-Economic. Life of Northern India and Crime and Punishment in Ancient India have already carved out a niche for them among the publications on Indology. She has also to her credit a number of research papers published in various journals and commemoration volumes.